It was good to see so many of you at our rescheduled Meet the Teacher evening on Wednesday and I hope you found it of use. One of the things I forgot to say was a huge thank you to all the teaching assistants who also joined us. They are a much valued part of the team and of your child’s day to day life in school. For those who couldn’t make it here is a quick summary of the things I spoke about. Firstly, our congratulations go to Miss Reeves and Mrs Nesbitt who are both expecting babies in the new year! Big Maths: Your children will come home talking about Big Maths and CLIC. CLIC is an acronym which stands for Counting, Learn it’s, It’s nothing new and Calculation. Every day there will be 5-minute session on each of these aspects. Counting is just that! Counting in multiples, single digits, negative numbers etc. all age appropriate. Learn It’s are facts that the children must learn by heart, such as times tables, number bonds etc. They will have a Learn It a week so ask them what their Learn It is…and then rehearse and practise it at home! It’s nothing new is where the children are shown how to transfer their knowledge, so for example if we know that 3+4 = 7 we also know 4+3 = 7, 7-4=3, etc but also that 30 add 40 is 70 and 300 add 400 is 700 …and so on. Calculation is again just that practising calculations relating to the week’s learning. It has proved to be a very effective system for motivating children and ensuring good progress in reading. Initially your child will take a computer-based reading test. They are presented with questions, which require a multiple-choice answer. Questions continually adjust to your child’s responses. If the child’s response is correct, the difficulty level is increased. If they cannot answer a question or answers incorrectly, the difficulty level is reduced. The whole test takes approximately 10 minutes and is not certainly an ordeal. A report gives a reading level for your child which, alongside all the assessment information that we already have, helps the teachers to determine an appropriate reading range for them. Books are levelled using a nationally recognised readability formula and represent the difficulty of the text. The levelling criteria covers such factors as vocabulary, average word length, average sentence length, grammatical complexity etc. – not how long the book is or how many pictures it contains! Normally, books are chosen between a range of levels (the child’s Zone of Proximal Development) recommended for each pupil by the reading assessment. Once they have been assessed your child chooses a book at their own level and reads it at their own pace. When finished, they take a short quiz on the computer; passing the quiz is an indication that they have understood what has been read. The absolute key here is the understanding – your child may be able to physically read the words of a book out loud but the quizzes test the understanding/comprehension of the chosen text. Both children and teachers are given feedback based on the quiz results which are then used to help set targets. The children will have a free choice of the books they read (within their given range), rather than having one assigned to them which reading a much more enjoyable experience as they feel in control and can choose books that are interesting to them. Teachers and teaching assistants will be on hand to help your child choose books that are at an appropriate reading level. These will be challenging without being frustrating and will also be at a level at which your child can pass the quiz and experience success. In most cases, children really enjoy taking the quizzes. Since they are reading books at their own reading and interest levels, they are likely to be successful. Eventually we hope to have the opportunity for you to connect to the system but we are waiting until we have ironed out any teething problems in school first. You may find the link below of interest. We shall be changing our approach to Parent Consultation Evenings. Rather than have two evenings after school we shall have one full day and one evening. Each appointment will last 15 minutes, 5 minutes longer than our previous system, and we shall hold the meetings in the school hall. The children will be taught for the day by their teaching assistants. We would ask that on the 26th September children bring a packed lunch to school. If, however your child is entitled to a free school dinner we will provide them with sandwiches etc. Booking for Parent Consultation will be open via Parentmail on Monday 10th September. 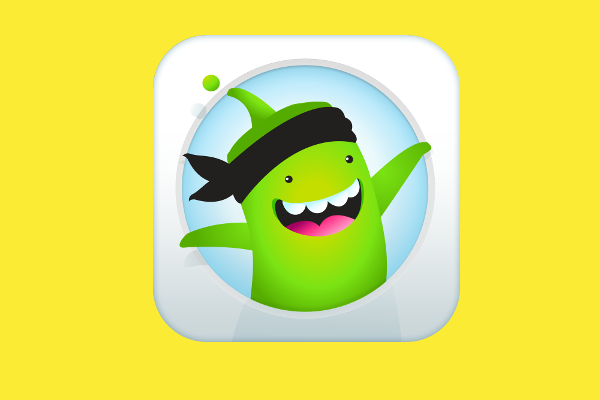 Please connect to your child’s class Dojo so you don’t miss out on any of the class excitement! Finally, I shall be away from school for the next two weeks as I have to have a minor op that needs two weeks recovery. I shall leave the school in the capable hands of Mrs Roberts and Mrs Kay and should you have any urgent matters they will do their best to address them. Thank you for a brilliant start to the term.